Kaav is an Indian trio instrumental band formed in 2009 by Syam N Pai (Guitar), Shabeer P Ali (Bass) and Arun S Kumar (Drums). 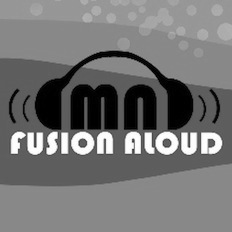 The Vypin Island, Kerala based band released their eponymous E.P of three tracks in September 2010. The E.P was produced by guitar maestro Baiju Dharmajan. Kaav EP received raving reviews from various newspapers, magazines and several international websites and was selected as the NO 1 Indian Indie EP of the year 2010 by online music magazine 'Indiecision'. 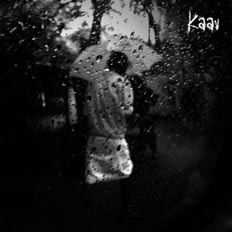 Kaav's debut album titled 'Rhapsody of Rains' consisting of eight songs released in June 2012. 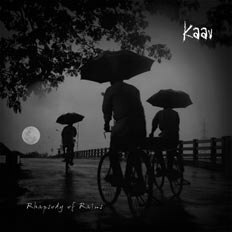 Produced by Baiju Dharmajan, the album is an attempt by Kaav to further its musical expeditions into more progressive terrains while still retaining its indigenous roots as well as diverse influences.